Red Blue Games and Merge Games has released a new trailer for a game they first revealed at the end of 2018, Sparklite. 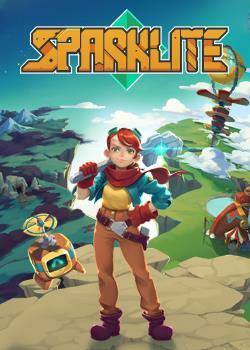 Sparklite is a nostalgia invoking RPG adventure game that allows for world exploration and top-down battles with the main goal of saving the Sparklite -- a life force that holds the planet together that can be harnessed or abused. Players will take on the role of Ada, who must travel to each section of the world to prevent the Baron, an evil miner, from utilizing the Sparklite to create a new world where he has ultimate power. Sparklite is set to be released in Fall 2019 on PlayStation 4, Xbox One, Nintendo Switch, and PC, though an exact date has not yet been announced. More information is available on the game's website.